The LSA urges you to send the letter below to your MP. This process takes no more then 30 seconds. 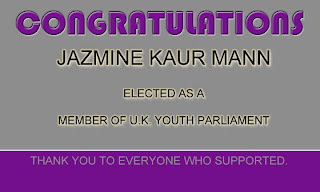 Step 2: Your MP name will be in the 'Your Member of parliament' section. Step 4: Copy & paste the pre-prepared letter below and email MP. NOTE: Dont forget to put MP name at start of letter, and your name & address at the end of the letter. 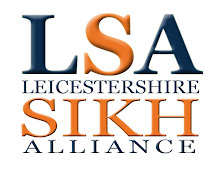 The Sikh community welcome the decision of the UK government to refuse visas to travel to the UK for the London 2012 Olympic Games to representatives from certain countries e.g. Syria and those who have committed human rights violations and committed crimes against humanity in their own countries. The purpose of this letter is to urge you to draw the attention of relevant UK Government Departments and agencies of the very high possibility of the following two individuals from India who may try to enter the UK, but who have committed or been implicated in gross violation of human rights. Jagdish Tytler – Vice President of the Indian Olympic Association & President of the Judo Federation of India. Jagish Tytler’s name first appeared in newspapers on 6th November 1984 wherein it was reported that Tytler went to the office of the Commissioner of Police to get those involved in anti-Sikh pogroms who were arrested released, and he told the Commissioner of Police that these were his men and they be released immediately. For his involvement, his name also appeared in the report of two leading Human Rights groups in India, PUCL (People’s Union of Civil Liberties) and PUDR (People’s Union for Democratic Rights). The report was named as “Who are the guilty” and was released in November 1984 itself. He was forced to resign as the Union Minister of State for Overseas Indian Affairs after an Indian official commission of inquiry (the Nanavati Commission) noted the 'balance of probability' indicated he was responsible for inciting and leading murderous mobs against the Sikh community in Delhi during the November 1984 anti-Sikh pogroms. In 2009 Tytler was due to be part of an Indian Delegation to launch the Commonwealth Games baton relay in London, but was dropped from the delegation following pressure from the Sikh community and UK MPs. In 1996, he was convicted for sexual harassment and the decision was upheld by the Supreme Court in July 2005. He has also been implicated in the killing of leading human rights activist Jaswant Singh Khalra who was investigating the illegal killing and cremation of thousands of unidentified bodies by Punjab security organisations. Khalra was taken into custody by Punjab Police on 6 September 1995 and Human Rights Watch reported that on 11 September 1995 a writ of habeas corpus from the Supreme Court was presented to KPS Gill. In 2005, Special Police Officer Kuldeep Singh testified in court that in October 1995, after Khalra had been beaten and tortured, and bore the signs of torture on his body, then-DGP KPS Gill visited Khalra at SSP Ajit Singh Sandhu's home. He further testified that Gill remained with Khalra in the room for "half an hour", that a few days later Khalra was killed, and finally that on the way back to Jhabal police station after disposing of the body, he was told that Khalra could have saved himself if he had listened to the advice of KPS Gill. Human Rights Watch and Ensaaf (a human rights organisation focused on Punjab), argue that KPS Gill had knowledge of Khalra's illegal detention, could reasonably have been expected to have knowledge of his torture, and had the authority and responsibility to order Khalra's release, which would have prevented Khalra's death. On November 18, 2005, six Punjab police officials were convicted and sentenced to seven years imprisonment for Khalra’s abduction and murder. On October 16, 2007, a division bench of the Punjab and Haryana High Court extended the sentence to life imprisonment for four of those convicted. Jaswant Singh Khalra’s family continues to pursue a conviction of KPS Gill. There are others, existing or former politicians, such as Kamal Nath and Sajjan Kumar who have been implicated in the anti-Sikh pogroms of November 1984 and existing or former police officers, such as Sumedh Saini and Mohammad Izhar Alam from India who may try and attend the London 2012 Olympic Games. It would be unacceptable if those mentioned above should be allowed to enter the UK, let alone attend the London Olympics due to the crimes they have committed or encouraged. Many who have suffered at the hands of those named or relatives of their many victims live in the UK. The British Sikh community is an intrinsic and inherent part of Britain and are confident you will do all you can to encourage the UK Government and its agencies not to allow those named to come into our country. There is talk in the British Sikh community of direct protest action during the Olympics. It would be a real shame if this is what materialises because action is not taken by our government to avoid those who have committed human rights violations and committed crimes against humanity from entering the UK.